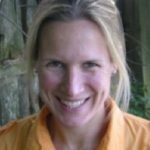 Heather Douglas (hdouglas@uwaterloo.ca) will be joining MSU’s Department of Philosophy as an Associate Professor in the Fall of 2018. 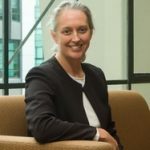 Her research focuses on the relationship between science and democracy, including the role of social and ethical values in science, the nature of scientists’ responsibility in and for science, and science-policy interfaces such as science advising, science funding, and science communication. She is interested in how citizens can and should interact with science, including the bases for citizens’ trust in scientists, and had a particular interest in the use of science for environmental policy-making and in energy policy. She is the author of many articles, edited collections, and her monograph Science, Policy, and the Value-Free Ideal (University of Pittsburgh Press, 2009). She has also taught environmental ethics for many years, and as a result of this, has put together a textbook, Environmental Ethics from the Roots Up (Cognella Press 2016), which is geared towards non-philosophers interested in environmental issues. In 2016, she was elected as a Fellow of the American Association for the Advancement of Science. 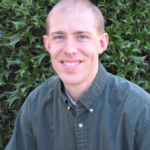 Kevin Elliott (kce@msu.edu) is an Associate Professor in Lyman Briggs College and the Department of Fisheries & Wildlife at MSU with a secondary appointment in the Department of Philosophy. He is affiliated faculty in the Environmental Science & Policy Program. His research interests are at the interface between the philosophy of science and practical ethics, focusing especially on environmental issues and research ethics. Many of the case studies that he has examined involve contemporary research on environmental pollution, including endocrine disruption, nanotechnology, multiple chemical sensitivity, and hormesis. His latest book, A Tapestry of Values: An Introduction to Values in Science was released in 2017 by Oxford University Press. He is published in journals such as Ethics, Policy & Environment; Environmental Ethics; Science, Technology & Human Values; Accountability in Research; Science and Engineering Ethics; Philosophy of Science; Studies in History and Philosophy of Science; History and Philosophy of the Life Sciences; Cell; Human and Experimental Toxicology; and Environmental Science and Technology. Matt Ferkany (ferkany@msu.edu) is an Assistant Professor in the Department of Philosophy and the Department of Teacher Education at MSU. He is affiliated faculty in the Environmental Science & Policy Program. His teaching and scholarship focus on political, ethical, and pedagogical problems relating to environmental ethics and education, civic and moral education, and well-being and virtue. Current projects include one funded by the Spencer Foundation linking environmental virtue ethics and participatory democracy to environmental and science education. Past projects theorize the sense of self-worth and the importance of fostering self-esteem relative to other aims of education. He has published in journals such as Environmental Values, Ethics, Policy & Environment, Pacific Philosophical Quarterly, Theory & Research in Education, Journal of Agricultural & Environmental Ethics, and The Southern Journal of Philosophy. 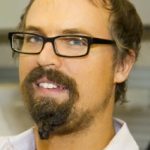 Michael O’Rourke (orourk51@msu.edu) is a Professor in the Department of Philosophy and AgBioResearch at MSU, and affiliated faculty in the Environmental Science & Policy Program. His research interests include the nature of epistemic integration and communication in collaborative, cross-disciplinary research and the nature of linguistic communication between intelligent agents. He co-taught the Biodiversity Conservation and Sustainable Production IGERT seminar at the University of Idaho in spring 2005 and is PI on the NSF-funded project, “Improving Communication in Cross-Disciplinary Collaboration”, which extends research into philosophical approaches to facilitating interdisciplinary research. He has also published on the topic of communication, both within philosophy and within the field of robotic agent design. 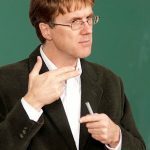 Since 1998, he has served as co-director of the Inland Northwest Philosophy Conference, an interdisciplinary conference on philosophical themes held annually on the campuses of UI and WSU, and since 2000, as co-editor of the Topics in Contemporary Philosophy series published by the MIT Press. He has published in journals such as Synthese, Bioscience and Journal of Philosophy. Paul B. Thompson holds the W.K. Kellogg Chair in Agricultural, Food and Community Ethics. In addition to his role in the Michigan State Philosophy Department, he is also Professor in the Departments of Community Sustainability and Agricultural Food and Resource Economics. 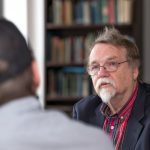 Thompson has a long and distinguished career in environmental philosophy focused on risk analysis for emerging technologies and the philosophy of agriculture. He has received career achievement awards from the Agriculture, Food and Human Values Society and from his doctoral degree granting institution, Stony Brook University. His work has been translated into French, German, Chinese, Japanese and Arabic, and his book From Field to Fork: Food Ethics for Everyone (Oxford U. Press, 2015) won Book of the Year from the North American Society for Social Philosophy. In 2017 he received Michigan State’s William J. Beal Outstanding Faculty Award. He continues to conduct research on philosophical aspects of sustainability and on new trends in agricultural technology. A second edition of his book The Spirit of the Soil: Agriculture and Environmental Ethics appeared in 2017. 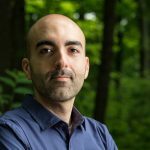 Sean Valles (valles@msu.edu) is an Assistant Professor, joint appointed in the Lyman Briggs College (75%) and Department of Philosophy (25%). His research specialty is in philosophy of population health. His work overlaps with environmental in three particular areas. First, he has begun publishing on the topic of the bioethics of climate change’s health impacts. Second, he is collaborating with Michael O’Rourke, Kyle Whyte and Zach Piso on an NSF ethics education grant, developing an ethics curriculum for interdisciplinary environmental science graduate students. Third, he is working on a history project about population control advocacy and its relationship to conservationism. Dr. Valles’ articles have appeared in journals such as Preventive Medicine, Philosophy & Biology, Studies in History & Philosophy of Biological & Biomedical Sciences, and Perspectives in Biology and Medicine. Gretel Van Wieren (vanwie12@msu.edu) is an Assistant Professor in the Department of Religious Studies at MSU with a secondary appointment in the Department of Philosophy. Broadly, her research focuses on the religious and ethical dimensions of the intersection of humans and nature. She is interested in exploring both the ways in which the world’s religions understand nature and humanity’s place and role in relation to it, as well as the ways in which environmental thought and experience itself implicitly and explicitly points to the religious and spiritual dimensions of human life. Additionally, she is interested in the interface of science, religion, and ethics. Her dissertation proposes a new restorative environmental ethic by critically examining the theory and practice of ecological restoration from scientific, religious and ethical perspectives. To date, her research has been published in Worldviews: Global Religions, Culture, and Ecology and the Encyclopedia of Sustainability. Her book, Restored to Earth: Christianity, Environmental Ethics, and Ecological Restoration, was published by Georgetown University Press in 2013. Kyle Powys Whyte (kwhyte@msu.edu) holds the Timnick Chair in the Humanities and is an Associate Professor in the Department of Philosophy at MSU and is affiliated faculty in Environmental Science & Policy, the Center for Regional Food Systems, Animal Studies and American Indian Studies. He is an enrolled member of the Citizen Potawatomi Nation in Shawnee, Oklahoma. His primary research addresses moral and political issues concerning climate policy and Indigenous peoples and the ethics of cooperative relationships between Indigenous peoples and climate science organizations. 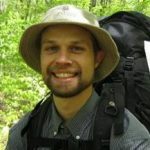 His articles have appeared in journals such as Climatic Change, Ecological Processes, Synthese, Human Ecology, Journal of Global Ethics, American Journal of Bioethics, Journal of Agricultural & Environmental Ethics, Philosophy & Technology, Ethics, Place & Environment, Environmental Justice, and Continental Philosophy Review. His research has been funded by the National Science Foundation, Bureau of Indian Affairs, Great Lakes Integrated Sciences & Assessments Center, U.S. Fish and Wildlife Service, and Spencer Foundation. He is involved in the Climate and Traditional Knowledges Workgroup, Michigan Environmental Justice Coalition, Everybody Eats: Cultivating Food Democracy, and Networking the Global Humanities: Humanities and the Environment (Mellon). 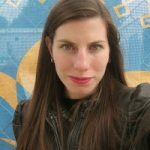 Stephanie E. Vasko (vaskoste@msu.edu) is a research associate and the program manager for the Toolbox Dialogue Initiative and a project manager for Food@MSU. Her work at MSU is funded by AgBioResearch and the College of Arts and Letters. During 2017, Dr. Vasko was a member of the inaugural cohort for the American Association for the Advancement of Science Community Engagement Fellowship Program. Her research interests include strategic planning for sustainability-related projects and archival approaches to exploring the intersections between chemistry, design, and the environment. Dr. Vasko writes for a variety of different audiences, her articles have appeared in Slate, Chemical and Engineering News, Physics Today, Nano Letters, and Cogent Arts & Humanities.